How Far is Nishanth Garden Flats? 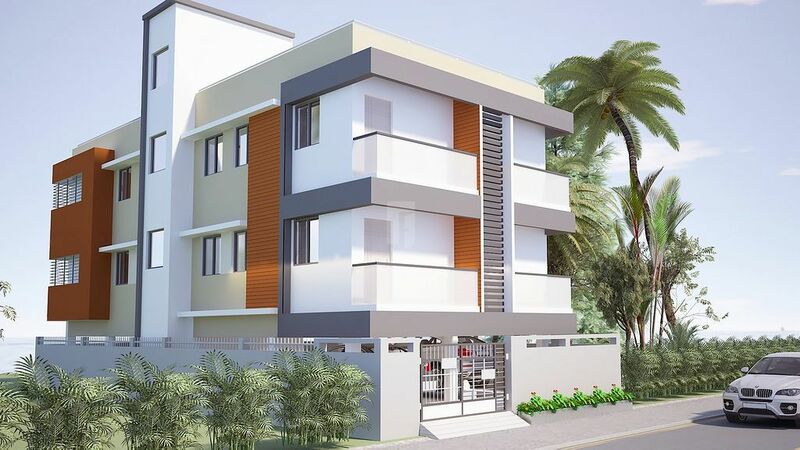 Placed in one of the peaceful environment of Maraimalai Nagar in Chennai, where daily needs can be met at your doorstep. The locality offers a range of living spaces which comprises Apartments, Villas, plots and many more. Offering various ranges of high range apartments, the locality also offers one of the best environments to live in. Investing in Realty has been one of the highly developing ideas in recent times, many will question How to invest in Realty? The only option is to do a property valuation of the project you are interested in and analyzing the trends of realty where you would get a clear picture of what exactly the property is. Nishanth Garden Flats Planned with compact designed 2BHK Apartments in Maraimalai Nagar of carpet area sizes ranging from 940 – 1070 Sq. Ft. The vivid spirit of the interiors and exquisite exteriors will make you feel the positive energy inside the home. Raghupathy Realtors is coming up with elegant residential apartments at Maraimalai Nagar titled Nishanth Garden Flats. Each apartment is carefully designed for the best look, beautiful interiors, sufficient ventilation and offered with world class amenities. Offered in a range of 2 Bedroom Apartments, these are built with top branded floorings and fittings. "AURA PROMOTERS" a self sustaining, vibrant and a leading builder and construction company. Driven by a team of energetic and well experienced graduates. We are well known for our unbeatable quality standards, advanced construction techniques and our customer satisfaction. Our success story comes from an unflinching commitment to the core values of the company and a non-compromise approach to the business. We are happy to be more transparent towards our customers through a friendly approach. Also a sense of ownership and pride enhances a long-term relationship with our customers. Broad vision, careful thought, hand-crafted design. Creatting qulaity urban lifestyles, building stronger communities. We are family owned company commited to becoming the builder of choice, persuing excellence through dedication, experience and disciplined employees with an ongoing passion to deliver quality timely and profitable projects.